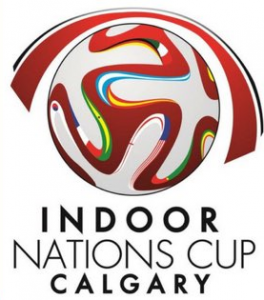 In preparations for the Calgary Soccer Indoor annual Nations Cup (March 25th April 12th) and to continue the achievements of previous boards in helping organize such event, the CEA board is announcing opening the tentative registration stage for prospect players, coaches, assistant coaches and volunteers. This year for the first time, two new competitions will be held (+16 Women & +45 Men) in addition to the already held competitions of +16 Men & +35 Men. We look forward to improved results from the +35 men team given that multiple Egyptian players are actively participating in the Calgary soccer official leagues. 20 Jan: Tentative registration deadline. Deadline for competition(s) may be extended by the board based on number of applicants. 26 Jan: Official registration and fee payment dead-line. Fees include (competition fees + training fields cost + jerseys). 27 Jan: Selection of the competition(s) to participate in. Selection of one or more competition to participate in may be delayed. 28 Jan – 4 Feb: Conduct try-outs (if needed) and\or first training based on number of applicants. 10 Feb: Coaches finalize players’ selection. One week after the last official match: Refund $10 for every returned jersey.